No matter where we live—city, country, oceanside, or mountains—there are wonders that we walk past every day. 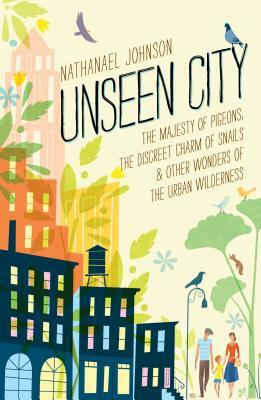 Unseen City widens the pinhole of our perspective by allowing us to view the world from the high-altitude eyes of a turkey vulture and the distinctly low-altitude eyes of a snail. The narrative allows us to eavesdrop on the comically frenetic life of a squirrel and peer deep into the past with a ginkgo biloba tree. Each of these organisms has something unique to tell us about our neighborhoods and, chapter by chapter, Unseen City takes us on a journey that is part nature lesson and part love letter to the world’s urban jungles. With the right perspective, a walk to the subway can be every bit as entrancing as a walk through a national park. Nathanael Johnson is the food writer for Grist and author of All Natural. He lives in Berkeley, California.